Despite America's growing population, it is still possible to buy cheap land in remote areas across the Untied States. Located far from the bright lights and bustling streets of urban and suburban communities, these locales offer star-filled night skies as well as plenty of room to keep neighbors at a distance. All remote land is not the same. Use care to choose a property that meets your needs without breaking your budget. Determine how the land will be used. If you plan to farm, soil quality and water for irrigation will be more important than a nice view. If you want to build a solar powered home, a gentle, south facing slope is desirable. Narrow your search via the Internet. Remote properties are often located far from each other. Concentrate your efforts in specific geographic areas that have the features you want. Identify four or five properties that fit your needs and reach out to the real estate agents or owners with specific questions about each parcel. Give yourself enough time to thoroughly investigate each property. If you are looking at large acreage tracts, it could take all day to look at an individual property. Even smaller lots are likely to take longer than you think to assess. According to Andreas Parmanoff, president of remote property search firm Denobulan Properties Inc., the process of identifying a remote property starts with a plat map. Obtain plat maps for all properties you plan to view in advance of your visit. They can usually be obtained from county officials or local title companies. Ask the owner or the real estate agent to accompany you on your visit. They will help you identify property boundaries and unique features while answering any questions you have about the property. Obtain a copy of all property restrictions and make sure that you understand any limitations on how you may use the property. Never assume that a property is zoned or otherwise restricted simply because it is remote. Talk to local utility companies about the availability of power and water. The cheaper and more remote the property, the less likely it is that utilities are available. If they are, the cost of accessing them may be prohibitive. Get a survey. According to Cyprus Partners, an Alabama-based rural land brokerage firm, a survey is the only way to verify exactly what you are buying. What Is the Definition of Rural for a Real Estate Appraisal? Plan to pay cash. Land loans can be riskier and harder to obtain than other real estate loans. This is especially true for cheap, remote land. Bankers compensate for the additional risk by raising interest rates, which in turn increases the cost of the land. Carefully review the title commitment before closing to ensure no encroachments or legal encumbrances exist that might limit your ability to use the property. Consider working with an attorney who specializes in real estate law. 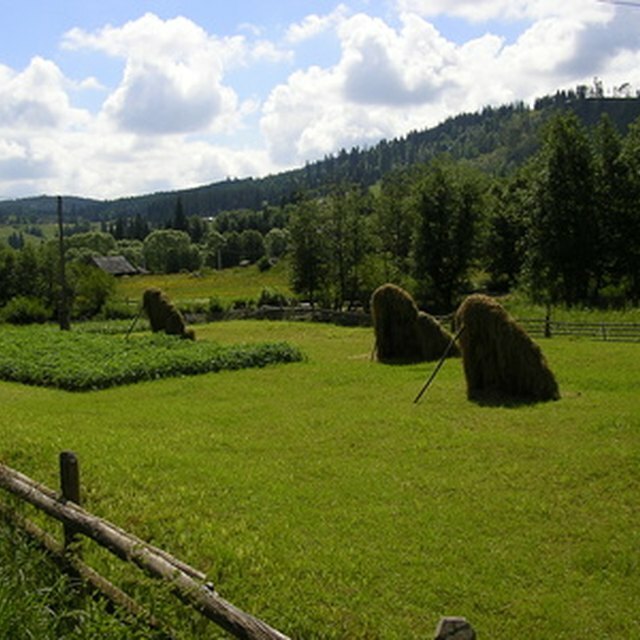 Purchasing cheap land in remote locations can be a complicated process. A good attorney can protect you from risks you might be unaware of. The legal concept of "caveat emptor," or "let the buyer beware," applies when purchasing cheap land in remote locations. Try to visit the land more than once before buying. What looks pleasant in spring or fall may be inaccessible in winter. Verify seller and real estate representations independently, if possible. Based in Indianapolis, Robert Sharpe is a writer and electronic media publisher. He has been covering career and business matters, environmental issues, sustainability and the economy since 2008. His work has appeared in "Texas Realtor" and other regional publications. Sharpe holds an M.B.A. in finance and accounting from Regis University in Denver.